Having a quality suspension system in your car is very important. 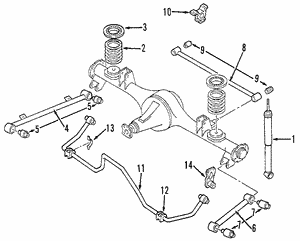 There are many important parts of any car's suspension system. One of the most important parts could be the car suspension springs, which help to absorb some shock from the road and debris when you are driving. If you are in need of an ignition coil spring, you may want to consider getting either Honda coil springs or Acura coil springs if you own this type of car. When you do this, the coil springs will match well with the rest of the car's suspension system to ensure a smooth ride.